The only goal I had in mind for my VR demo of Sparc was not vomiting on Morgan Godat, the game’s effusive executive producer. It was an admittedly lofty goal given I’d spent much of GDC week in various virtual reality demos and had literally just come from a perilously close call playing Lawn Chair Deathmatch (which is as weird and uncomfortable as it sounds, maybe worse). But after a few short minutes on the Sparc court I completely forgot about the headset and my low-level nausea and just craved one more game. Read more: the best VR games to play right now. Sparc is CCP’s first non-Eve universe game and represents a complete shift from the previous two VR titles the company have produced. Where Eve: Valkyrie and Gunjack are relatively straightforward cockpit-based shooters, Sparc gets you out of your seat and gives you a physical presence in a real sport. That’s no mean feat, but after four or five matches against a real human being in their Tron-style, one-on-one dodgeball court it really feels like they’ve managed it. Sparc is defined by some incredibly simple rules and premises, but even in my relatively short playtime I could see the level of tactical and strategic nuances that could eventually separate the n00bs from the veteran players. 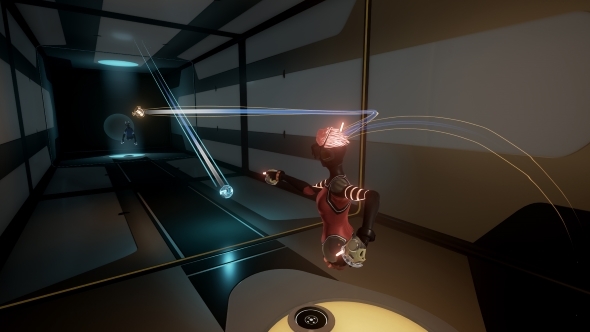 Sparc is set on a tight two-player court, each in their own six-foot square, and the aim is to hurl your metallic ball at your opponent and try and hit them while they try and do the same to you. It’s like a mix of squash, tennis and dodgeball. You can dodge and deflect the ball with your fist, or an activated shield that almost acts like a racquet, but if your opponent misses you yet hits through the strike-zone (think baseball) then their next throw will travel faster and faster with every strike. The tennis court, particularly the public tennis court, seems to have very much been a big part of the inspiration for Sparc. It wasn’t available in the demo room, but CCP have also dropped full voice comms into the game so there will be trash-talking available as well as your being able to make rude gestures with the controllers. My opponent (CCP’s VR comms lead, George Kelion) and I drop into the Sparc arena and I can see his legless torso floating before me, gesturing my way. Throughout the match I can see his physical reactions to what’s going on in-game and can tell when he’s obviously impressed by my overwhelming new-found Sparc skills. I win one out of five games. But Sparc is compulsive. I’ve completely forgotten how jetlag, a severe lack of sleep and a permanent background hangover have had me rejecting every VR demo that week the instant I’ve gotten what I need and/or need to wrench off the headset to stop my lunch leaving my body unprocessed. I’m asked repeatedly if I want to keep playing. I do. I can start to see how a flick of the wrist can put just enough disguised curve on a throw to have it react off the wall in such a way as to completely fool my opponent. I can see how he’s trying to time his throw just after he’s deflected my last shot to really test my reflexes and I want to try aping the same tactic. And I really want another win. Because of the way it’s been designed on a constricted court you will spend most of the time in-game standing in the same spot. That means the motion-sickness you might get from lurching around isn’t there so you can just concentrate on the game itself. And it also means you can stay courtside as long as you want to play, not just how long your inner ear can cope with. CCP are trying to create a social element on the spectator side too. When you log in to a server you are initially placed on the outside of the actual court, but are also many times bigger than you will appear while playing. If you log into a court with a game in progress that means you can stand around the outside and watch what’s going on. It is though a rather unnerving experience to be on the court when a giant head looms into view above you. Sparc isn’t going to become the killer app for bringing people into the world of virtual reality. 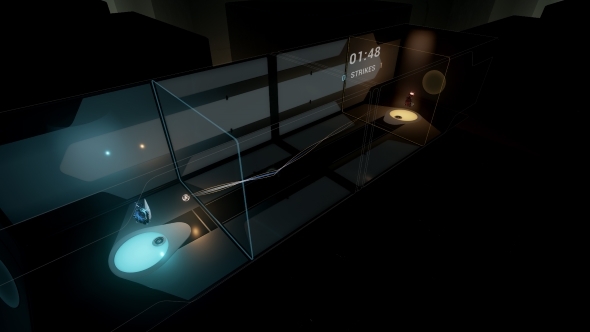 The simple graphics and gameplay aren’t going to be able to suddenly have people desperate to drop a ton of cash on a headset and controllers for their PC, but I stil wouldn’t be at all surprised if it became the most-played VR game. 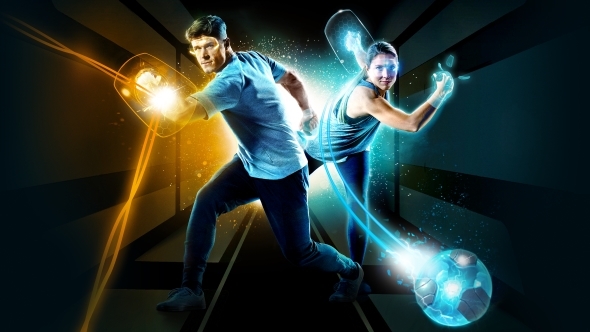 It’s these sorts of mechanical multiplayer games which the ecosystem needs right now and Sparc is the sort of virtually real sport that could enthuse and seriously engage the existing VR userbase. Sparc feels startlingly real. It feels real when you’re on court, not like you’re playing in a computer. CCP have genuinely created a new sport. It’s simple, but engaging, physical, tactical and compulsive.